Your tertiary years pass by in a flash, so it’s important to make the most of your experience. Ahead, we asked graduates to share their biggest regrets and personal advice for the class of 2018. Take notes, freshies! You might have been stuck in the same club for years, but you’re entering a new chapter of your life – take it as an opportunity to reinvent yourself. Don’t box yourself within the walls of familiarity and try dabbling in something new for a change. Who knows, you might just discover a newfound interest you didn’t know existed! There’s more to school than just academics – there are plenty of extracurricular clubs and after-school activities to keep you engaged! Not only are they platforms for you to widen your social circle outside of class, it’s also a chance for you to pick up extra skills and even prepare you for the workforce. “Why are they staring at me? Do I look weird today?” – such thoughts would inevitably run through your head when you’re in a new environment with people you don’t know. But at the end of the day, no one really takes notice of these little quirks as much as you think. In fact, they might just love you more for it! Never let anyone’s opinion sway your beliefs, whether it’s giving in to parental pressures or trying to fit in with others. If you’re truly passionate about something, trust your instincts and don’t be afraid to pursue what your heart desires. It’s nice to have companionship when going for camps or trying out for a new CCA, but chances are you won’t always find someone with similar interests as you. Don’t shy away from signing up for activities on your own – new friends will come along naturally. Hey, being independent is a good thing! You may think that only scoring well during the first year is enough and the remaining two years of your education won’t affect your GPA as much, but keep in mind that the cumulative grading system is based on your overall performance throughout the years. Keep up the good work and you’ll be duly rewarded! While school is a place where you make lifelong friends, there are instances where friends can get rather competitive on the academic front. Just because you are grouped together for projects doesn’t mean you are obliged to stick with the same clique – you might be better off finding a new group of friends whom you can better connect with. We’ve all been there – unrequited crushes, first loves and heartbreaks. When the hormones start to kick in, you may be at the stage where the idea of getting into a relationship is intriguing – but it can also result in unnecessary drama and heartache, so tread cautiously with matters of the heart. From skipping lectures to altering your uniform in every way imaginable, some of you are probably guilty of these. You might think that breaking the rules is cool now, but you’ll soon realise that it’s just a phase. Treat it as a learning lesson and move on! This article was adapted from Teenage Passport To Your Future 2018. Here’s a question for you guys: what’s something that you regret from your days back in school? Let us know in the comments below. New year calls for a fresh new look for your study space! Having an organised space does wonders in streamlining your workflow and helps you to stay inspired. Revamp your workstation with these Pinterest-worthy ideas. 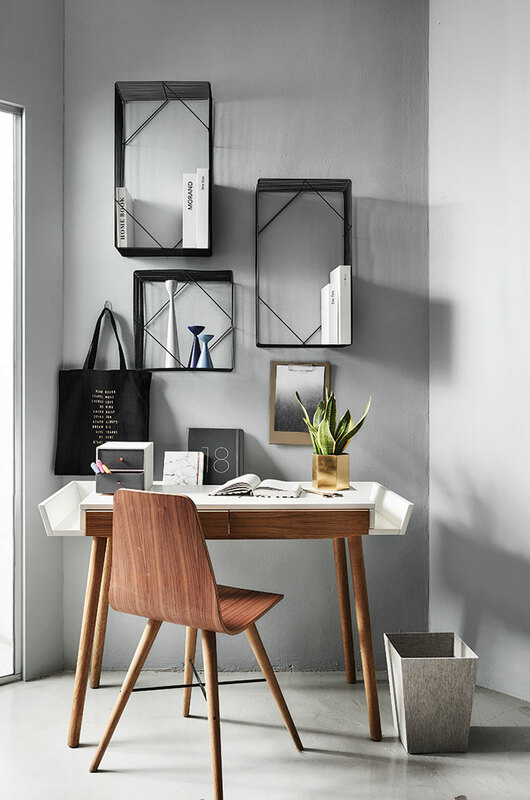 Transform your study space into an Instagram-worthy nook with these striking butterfly shelves, which you can use to showcase your book collection while adding an interesting accent to the room. 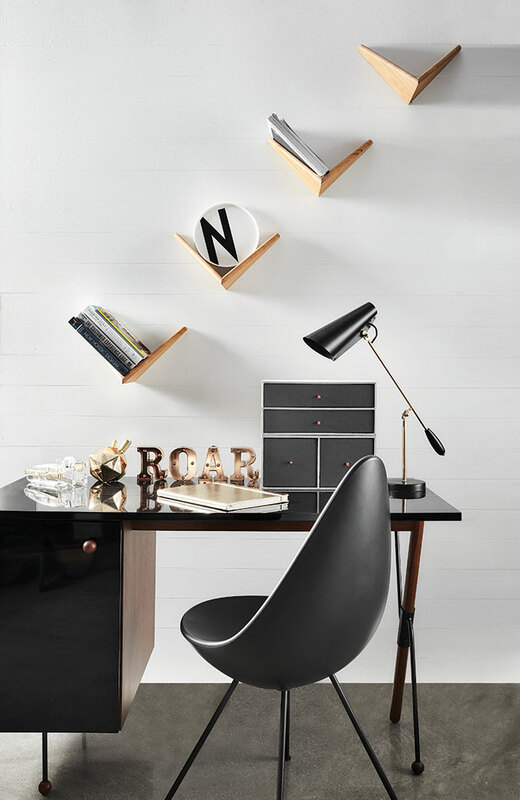 Make use of barren walls by keeping your notes and stationery items on a wall-mounted shelf. We love that it comes with compartments for storing little knick-knacks, and it doubles up as a compact workstation too! Another way to utilise the wall space above your desk? Install these versatile wire shelving units which provide ample space to store and display your items in an organised manner. Bonus: these little wall hooks also come in handy for holding your apparel and accessories in place, and also make things easier to locate! Short on space? 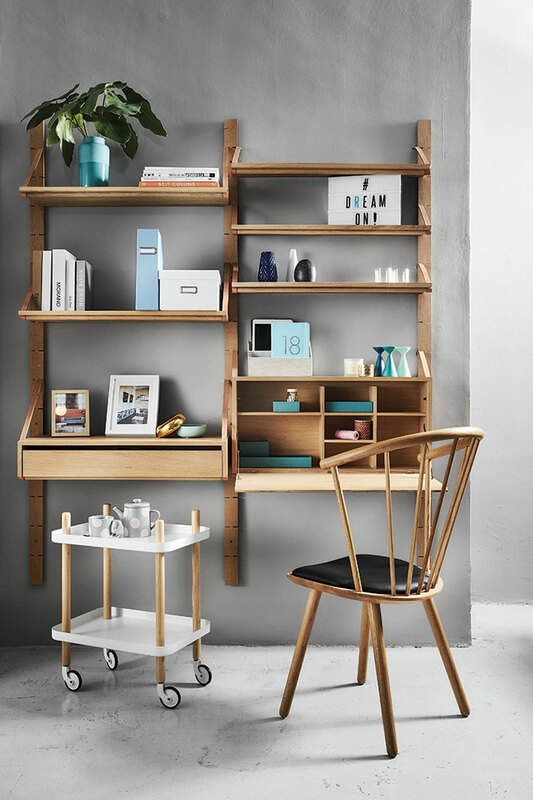 This modular system is perfect for squeezing in a workspace in just about any corner of the home, and the shelves are easily adjustable so you can add more layers whenever you need extra space. 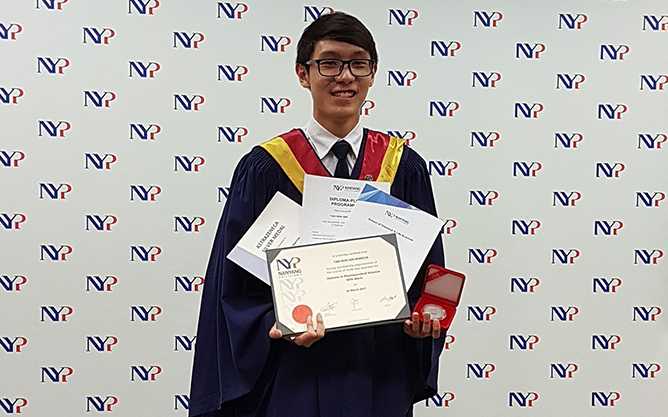 Scoring a place in a local university is tough enough, but these stellar graduates from Nanyang Polytechnic (NYP) have achieved the rare academic feat of being accepted into the most prestigious universities around the world. Here are their success stories. Having found his calling since he was a child, Lovell’s love for engineering was sparked after watching a television advertisement of a watch morphing into another form, which piqued his curiosity of how materials are made. 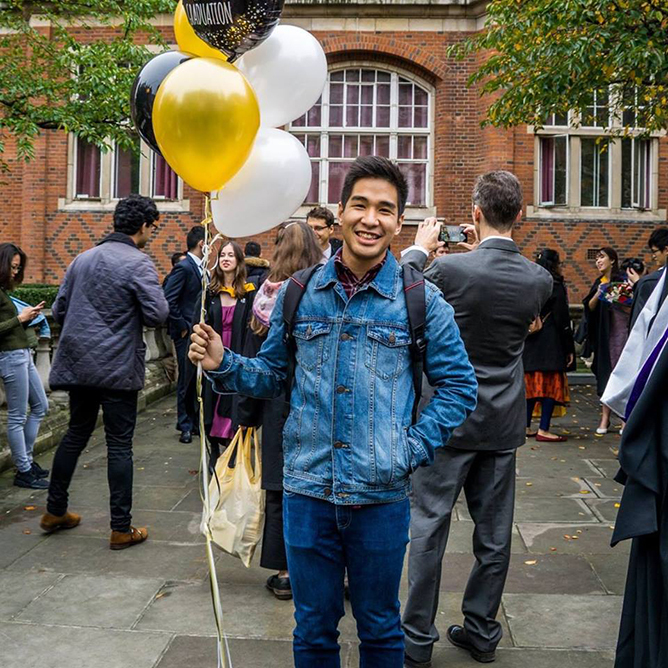 It comes as no surprise that he eventually chose to pursue his passion in NYP’s Diploma in Nanotechnology & Material Science, landing him a spot in the Imperial College London where he’s currently completing his direct Masters in Materials Science. 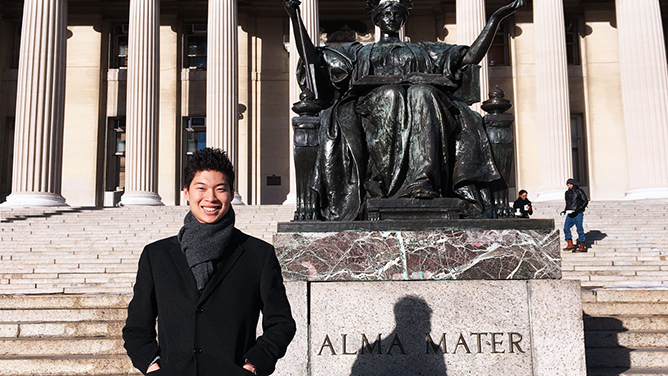 Julius Tan is among the few who were accepted into Columbia University, and the School of Business Management alum is pursuing a degree in Political Science. Julius’ interest in philosophy and politics dates back to his days as an NYPian, where he represented the polytechnic in debate competitions through the Current Affairs and Debating Club. Graduating from NYP’s School of Information Technology with a perfect grade point average of 4.0, Rayden was offered not one – but four places to read at some of the best institutions in the world: Massachusetts Institute of Technology (MIT), Harvard University, Carnegie Mellon University, and New York University. 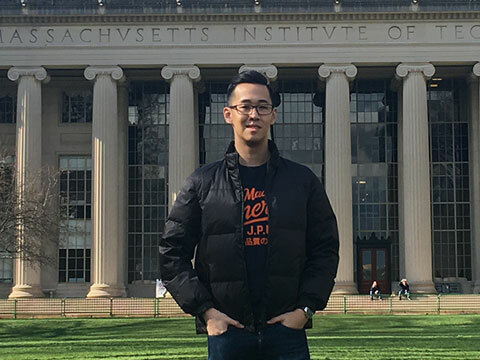 He ultimately accepted the offer by MIT, where he reads computer science and engineering while working on information technology research at the institution’s Computer Science and Artificial Intelligence Laboratory. As if his achievements aren’t impressive enough, Rayden also boasts multiple professional certifications from Red Hat, Microsoft and Oracle, and was also part of the winning team in the 2014 edition of the Microsoft Imagine Cup. The future looks bright for this budding tech whiz! With a keen interest in role-playing table top games and video games since young, Fadzuli was sold on the possibility of creating exciting storylines in video games, which led him to enrol in the School of Interactive and Digital Media (SIDM) at NYP. Fadzuli’s time at NYP was nothing short of spectacular as he received the Media Development Authority of Singapore IDM Award, which was given to the most outstanding student at SIDM. Not long after, he was offered direct entry as a Media Development Authority-ST Engineering scholar into a Masters of Entertainment Technology programme at the Carnegie Mellon University. 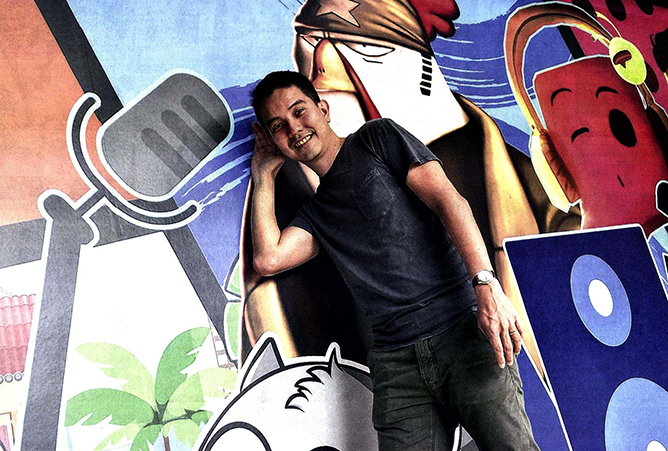 “It’s been a great three years here at NYP, and the technical know-hows I have garnered to develop mobile games have helped me greatly when I was reading my Masters.” Today, Fadzuli is a Chief Technology Officer at Mighty Bear Game, and also hopes to contribute to Singapore’s growing gaming industry in the future. With a heart to serve the elderly, Marcus has his mind set on becoming a medical practitioner. 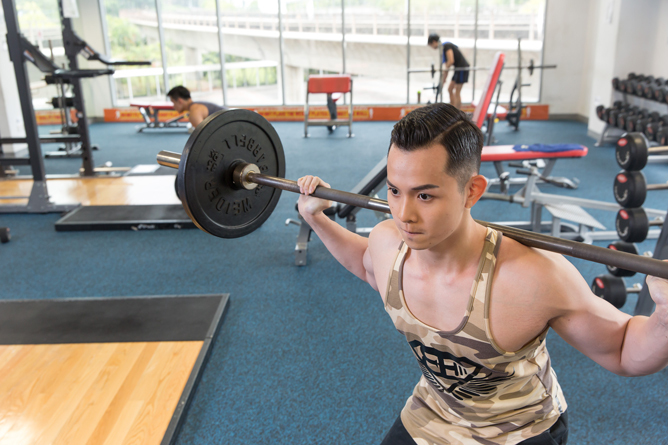 While aspiring medical students would have gone down the ‘A’ Level route, he decided to take the path less travelled as he took up the Diploma in Pharmaceutical Sciences at NYP, which provided him a solid foundation for medical school. Sheena has always lived her life with a big heart, but it was her father – who was a mental health nurse and a former nursing lecturer at NYP’s School of Health Sciences – who inspired her to become a professional nurse. Aspiring to follow in her father’s footsteps, she graduated with a Diploma in Nursing from NYP and is now on a scholarship to pursue her PhD in Family and Community Nursing at Hong Kong Polytechnic University. You might be familiar with the visual masterpieces of Ying Xian, whose brilliant works have been exhibited at the Singapore Art Museum, PHUNK Studio, and The National Library. She has also been published on The Straits Times, The Substation’s Issue magazine, and Matilda magazine. Don’t limit your tertiary education to hitting the books and churning out assignments. Make the most out of your polytechnic experience by joining a CCA (or two!) to further your interests. And with Nanyang Polytechnic (NYP) boasting a total of 84 diverse CCAs, you’ll be spoilt for choice. Here are six CCAs you should definitely check out! There’s a DJ in the house! The mood makers of NYP, Live Audio Club gets the party going with atmospheric tunes – mixed by their very own members who’ve undergone extensive DJ training. Apart from mixing up sick beats, Live Audio also equips its members with the technical know-how to provide audio support for professional events. They’ve even brought the sound to outdoor parties such as the Paddle @ Seletar and Puma One Mile Run! From parkour to gymnastics to bodyweight training, it seems like defying gravity is all in a day’s work for the Street Workout Club. If you’re looking for physically challenging exercises that’ll get your blood pumping with adrenaline and a bunch of fun friends to do it with, then this CCA is it. Perfect for fans of the Hallyu Wave, be prepared to experience everything K-related. 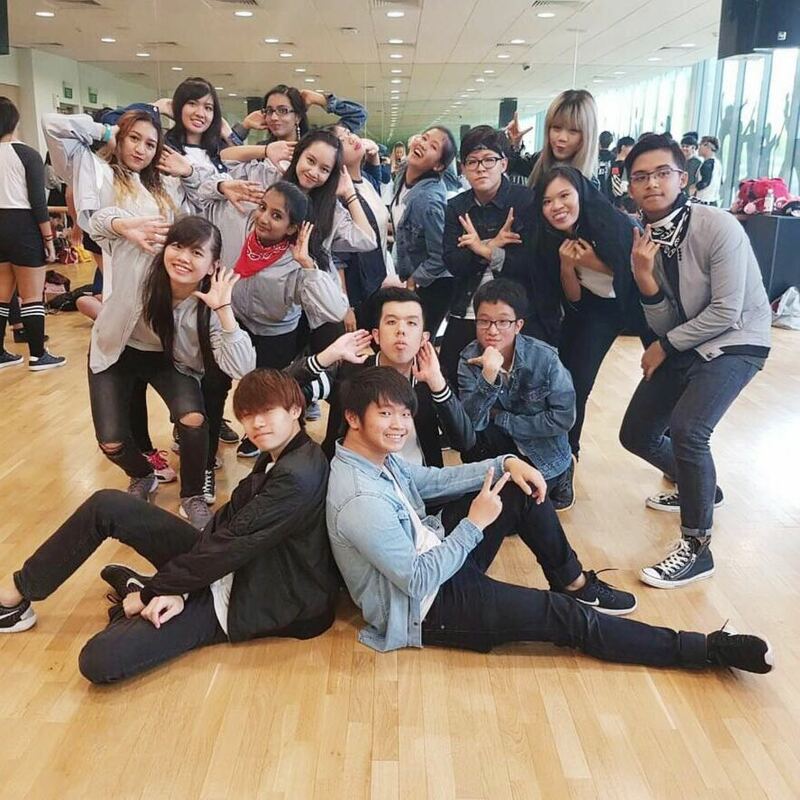 For aspiring K-pop stars in the making, join the club’s Vocal and Dance section, where you’ll learn the latest K-dance choreographies, belt out K-pop hits, and show off your newfound skills through event performances and exciting competitions. But while there’s a heavy focus on K-pop and K-dance, members also have the chance to explore Korean foods, lifestyles, and even learn about Korea’s rich history. And the club is supported by the Korean Embassy! Calling all hobbyists, crafters and artists-in-the-making (no pun intended)! The Makers and Innovator Tribe is a dream come true for those who love tinkering around – this unique CCA will link you up with like-minded folks to network and further explore creative collaborations. Plus, it’s supported by MakerSpaceNYP, which houses all the equipment and materials you’ll need to bring your project to fruition. 3D printers, here we come! Have a flair for social media? You could also become an ambassador for the poly with prospective students. This awesome CCA brings together the brightest sparks within NYP and members have a hand in handling the poly’s Facebook and Instagram accounts. Members also organise Open House activities and recruitment camps, and get training in public-speaking, event management and leadership. Do you lift? Whether you’re new to weightlifting or a seasoned pro, the fitness junkies at the Strongman Club will have you dead-lifting, squatting and training your way to a ripped bod and an even stronger mind. It’s time to push your body and mind to the limit – are you ready? Want more insights on the exciting CCAs that NYP has to offer? 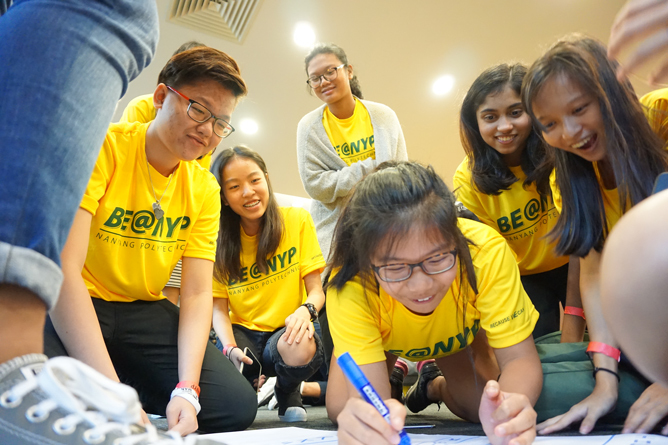 Head down to the NYP Open House on 4 to 6 January 2018 to find out more! 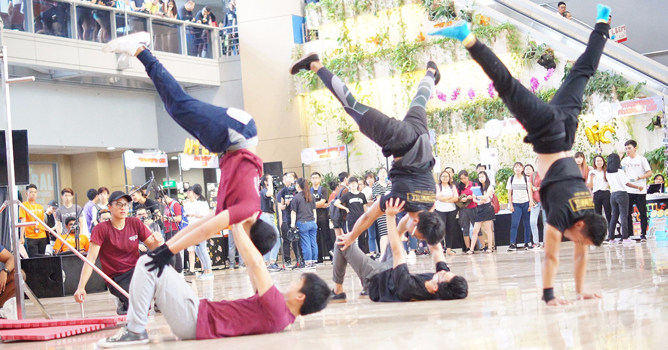 More related stories: Here’s Your Last-Minute Cheat Sheet To Poly Open House 2018, Don’t Miss These Exciting Activities At The NYP Open House 2018!, Meet The Talented Finalists Of NYP Groove! 2018! 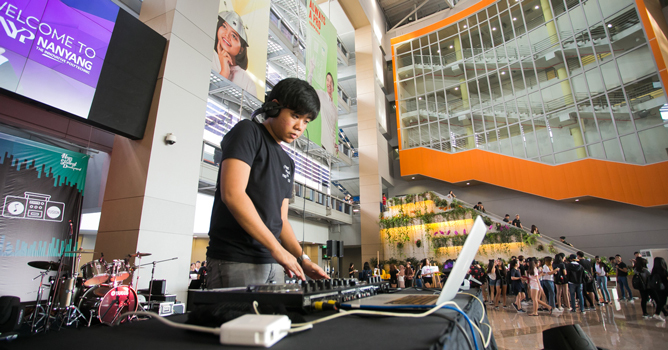 Planning to join in the Polytechnic Open House festivities? From 4 to 6 January 2018, prepare yourself for a whirlwind of activities! To help you make the most out of your experience, here’s what you can expect at each campus. 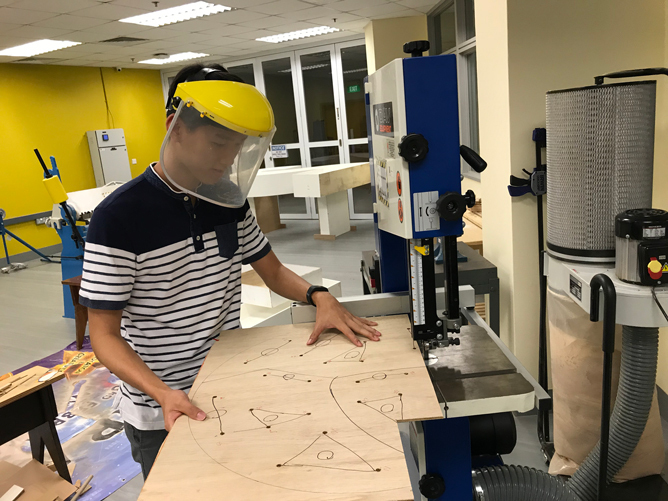 For those who enjoy getting crafty, drop by NYP’s MakerSpace (Blk P, Level 2) where you get to DIY your own gear with the help of NYP innovators – think self-designed T-shirts, personalised skateboards and even mechanised robots. Come nightfall, get ready for a star-studded affair with celebrity performers such as our very own ShiGGa Shay set to grace the Atrium Stage (Blk A, Central, Level 1) during the NYP Night Open House. Look forward to a song and dance extravaganza as you witness the finals of the NYP Jam! Singing Competition and NYP Groove! Street Dance Competition, also happening at the NYP Night Open House. Head on down to show your support for your favourite teams! Before scooting off to your next location, don’t forget to snap a wefie with your squad at the social media photobooth located at the Atrium! Immerse yourself in 360-degree virtual reality experiences at the School of Engineering, which will take you from a safari park to a giant aquarium. Shopaholics can even go on a massive shopping spree at 1st Avenue, a retail training simulation store run by TP students. Meet next-level technology inventions such as TP’s resident social robot Bobbie. Psst… this little guy can often be found roaming the library grounds! Don’t miss the plethora of fun-filled workshops lined up for you! From making your own slime, to flexing your public speaking skills in front of an actual camera, to taking flight in a simulator aircraft, there’s sure to be something for everyone. Sign up for the workshops here. Selfie sticks are so 2017 – take a drone wefie instead! At the School of Engineering, you’ll have the chance to hone your aerial skills and try your hand at piloting a Quadcopter. Or how about testing your dexterity by attempting a rock climbing wall or take a swing at a game of golf? The School of Sports, Health and Leisure will allow such opportunities, and who knows… you might join a related course or CCA in the future! Delve deeper into the world of biomedical science by stepping foot into the Human Anatomy Museum at the School of Applied Sciences. Building the perfect resume? Groom yourself for a killer first impression with a quick makeover and have your professional photo taken at the School of Hospitality. With 46 courses to choose from, you’re bound to find something that piques your interest. Head down to the various course booths for an in-depth look at your prospects. SP is also to over 100 CCA clubs and interest groups! From street dancers flexing their best moves to the cheerleading squad defying gravity, catch these talented crews in their full glory. 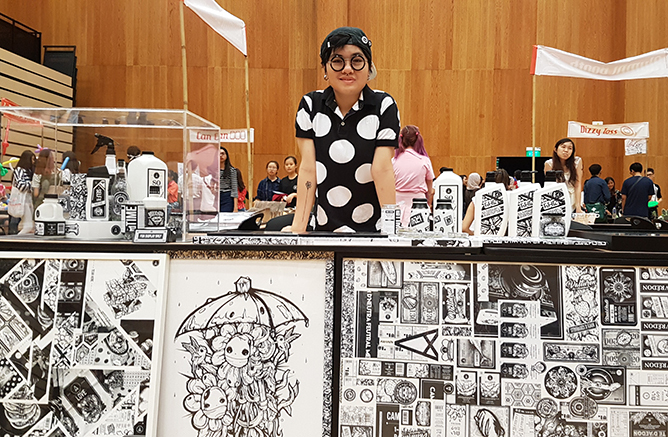 While you’re enjoying the exciting performances put up by the various CCAs, go ahead and immerse yourself in the multitude of fringe activities taking place at the SP Plaza, including henna painting, silkscreen printing on eco bags and more! Explore the wide array of impressive facilities available at SP, such as the AeroHub space that houses state-of-the-art aircraft. Still unsure of your future? Sign up for the Find Your Dream Course workshop at [email protected] where the good folks of NP will help you discover which courses are suitable for you. Limited spaces are available, so be sure to register ASAP. Ever wonder how the learning environment in NP is like? Attend the bite-sized starter classes at the various schools to experience being an NP student – from curating a mini exhibition at the School of Humanities & Social Sciences, to developing your own virtual reality game at the School of Infocomm Technology. Sign up for the starter classes here. Freebies galore – snag on awesome swag bags, an exclusive T-shirt, lanyards and other goodies. Oh, and not forgetting free-flow candy floss and popcorn! While you’re there, be sure to drop by the Teenage booth at each polytechnic ’cause we’ve also prepared tons of fun games and activities for y’all. See you there! More related stories: The Ultimate Guide To Poly Open House 2017 (Part One), The Ultimate Guide To Poly Open House 2017 (Part 2), Don’t Miss These Exciting Activities At The NYP Open House 2018!